In the United States, the institution of slavery ended at different times in different places. The states of Vermont, Massachusetts, and New York had constitutional bans against slavery in place before the beginning of the 19th century. But in Texas, once a confederate state, abolition was resisted throughout the Civl War and for more than two years after President Lincoln signed the Emancipation Proclamation. As the Civil War came to an end, Texas was ordered to free its slaves on June 19, 1865. Juneteenth is the annual celebration of this date. 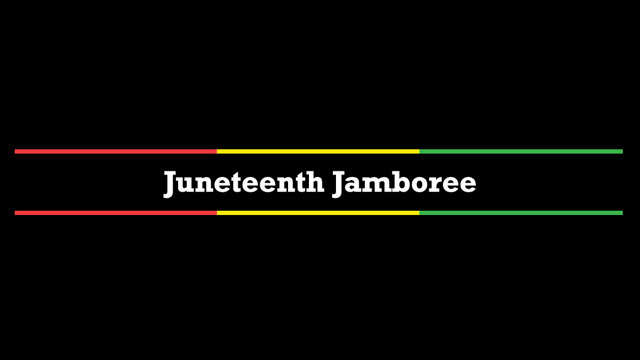 In 2008 JUNETEENTH JAMBOREE first aired in a central Texas broadcast as a tribute to the popularity and abundant joy of Juneteenth. The program keeps a pulse on African American culture and heritage spanning from 1528 when the first known African traversed what later would become the state of Texas, to a great day in Galveston on the 19th of June in 1865, and beyond. Each year, JUNETEENTH JAMBOREE highlights local vignettes that resonate with the idea of freedom.